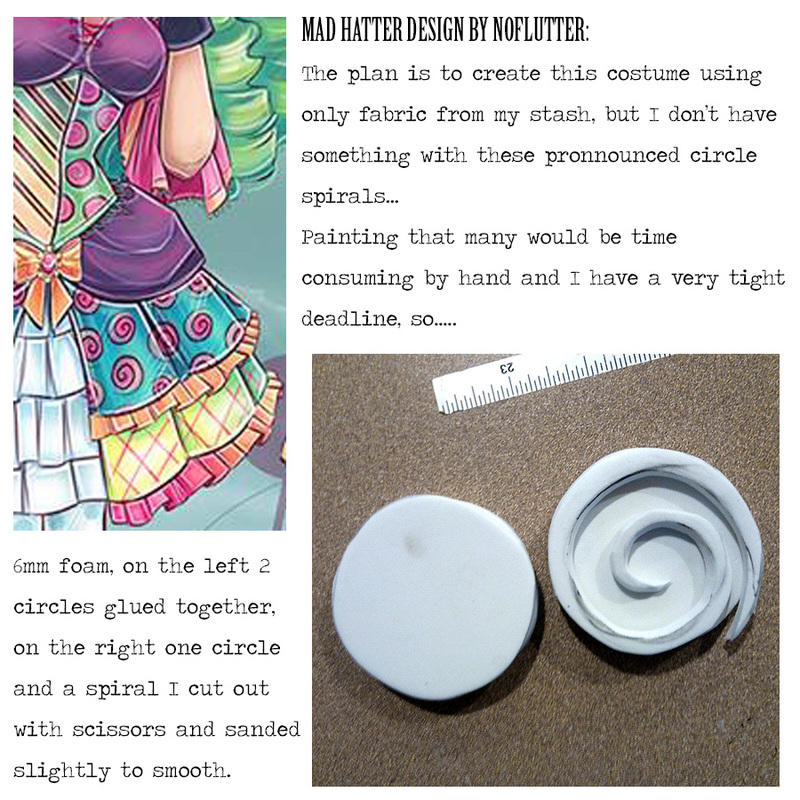 The plan is to create this costume using only fabric from my stash, but I don’t have something with these pronnounced circle spirals… painting that many would be time consuming by hand and I have a tight deadline so: 6mm foam pictured left, 2 circles cut out and glued together. 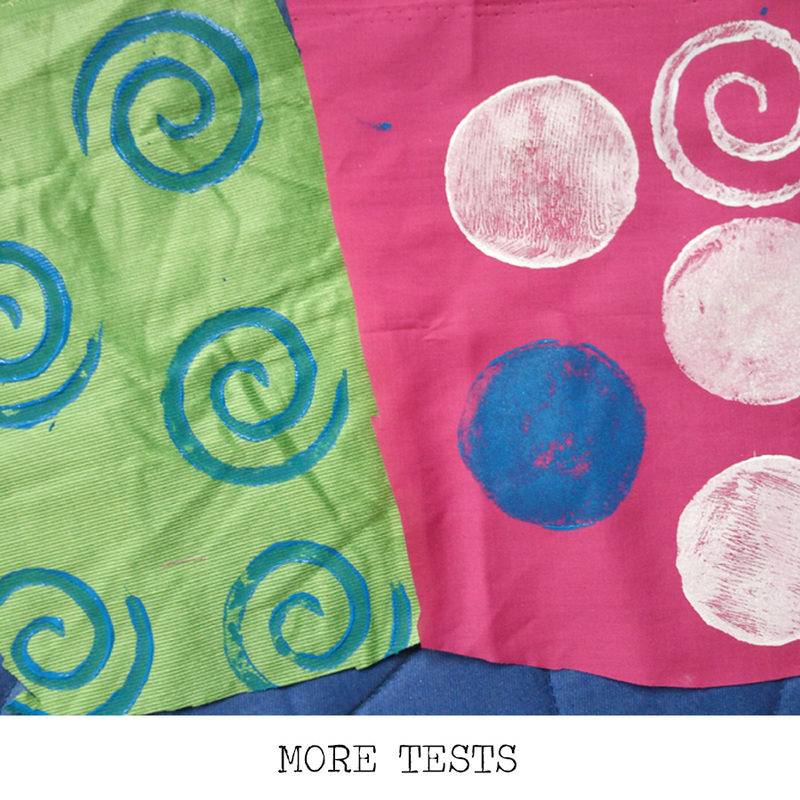 On the right, one circle and one spiral cut by hand and then gently sanded by hand, glued together. The foam shapes are covered with Worbla’s Finest Art. 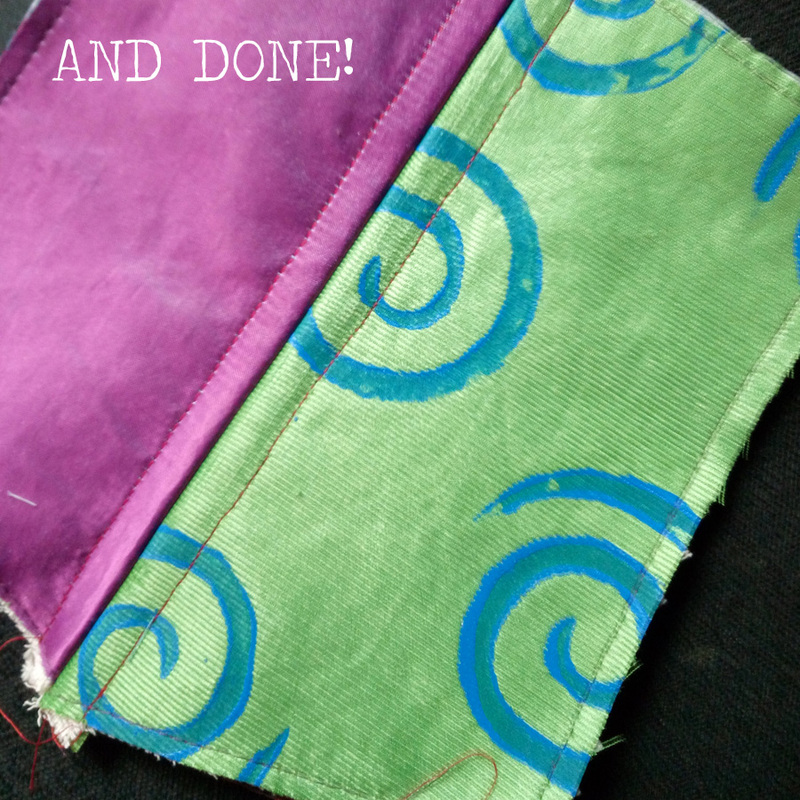 WFA has better stretch which was important for the spiral (and they were what scraps I had handy). For the spiral, I heated the Worbla and then pressed around the raised foam working from the inside out. This is important to let the Worbla stretch without tearing, though you can see it’s quite thin at the lowest points. I wrapped the Worbla around the back and made simple handles. I used normal acrylic paint for this. 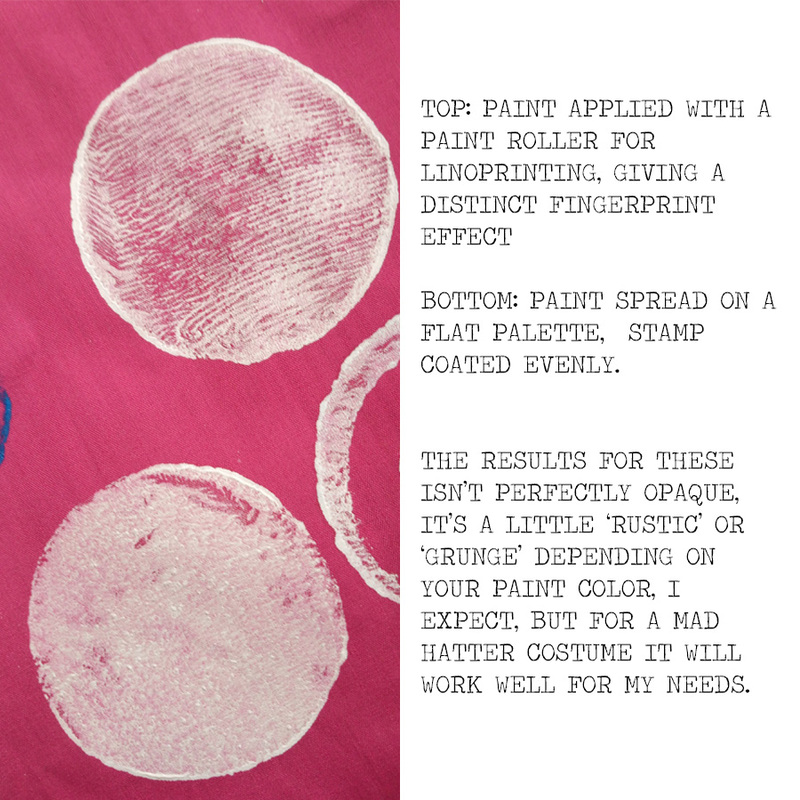 Top, I applied the paint with a roller used for lino-printing, which gave a very fingerprint effect. Bottom, the paint was spread out on a flat plastic palette and the stamp was dipped in the paint. The results aren’t perfectly opaque or even, its a bit rustic or grunge, but for a mad hatter costume the effect will work well. 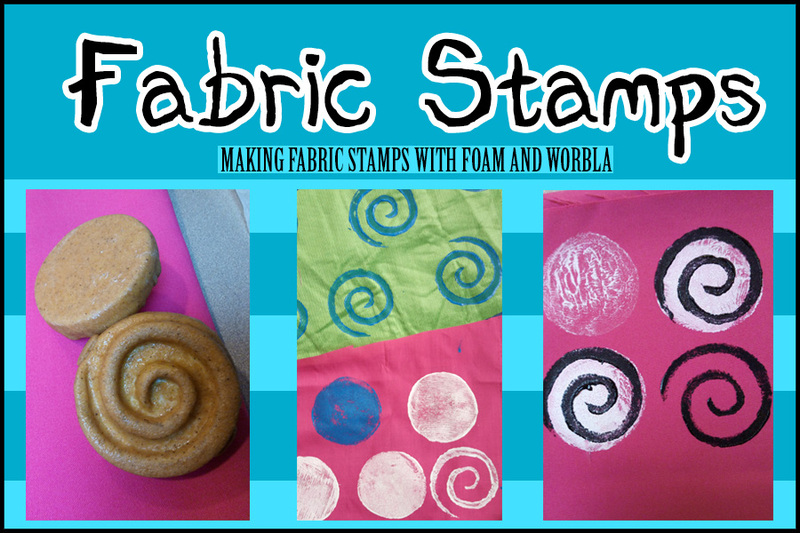 Top left: Attempting to apply paint to the stamp with a paintbrush. Not suggested. 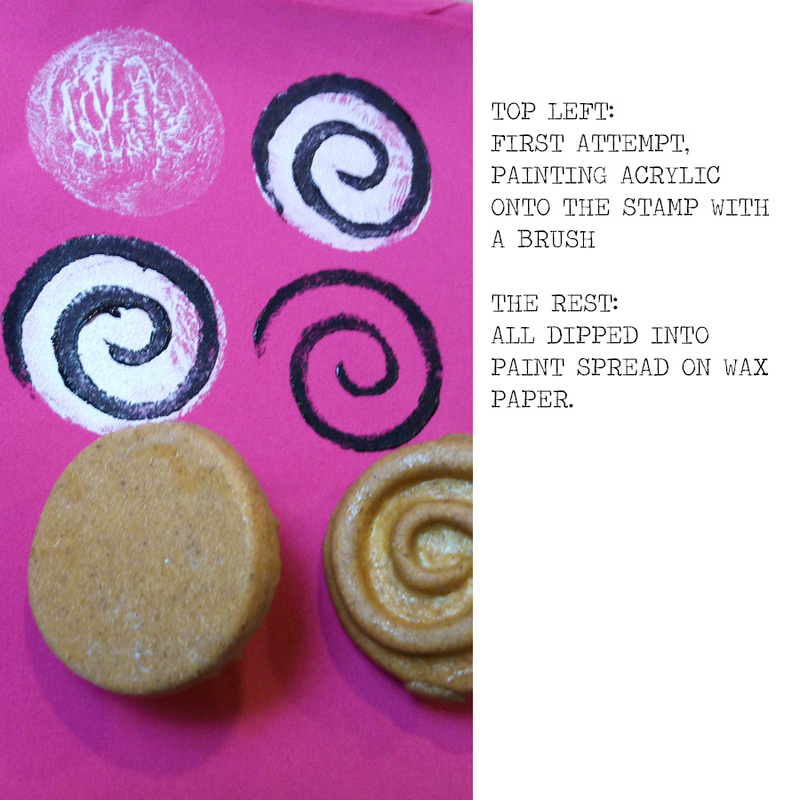 The rest: All dipped into paint spread in a thin layer on wax paper. 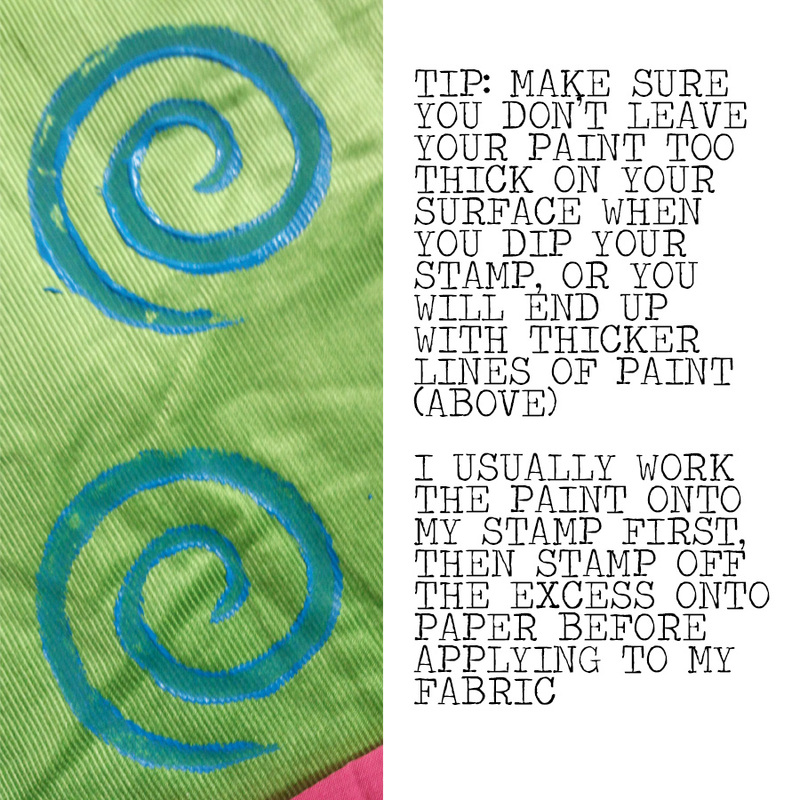 I usually work the paint onto my stamp, then dab off the excess onto paper before applying to fabric. 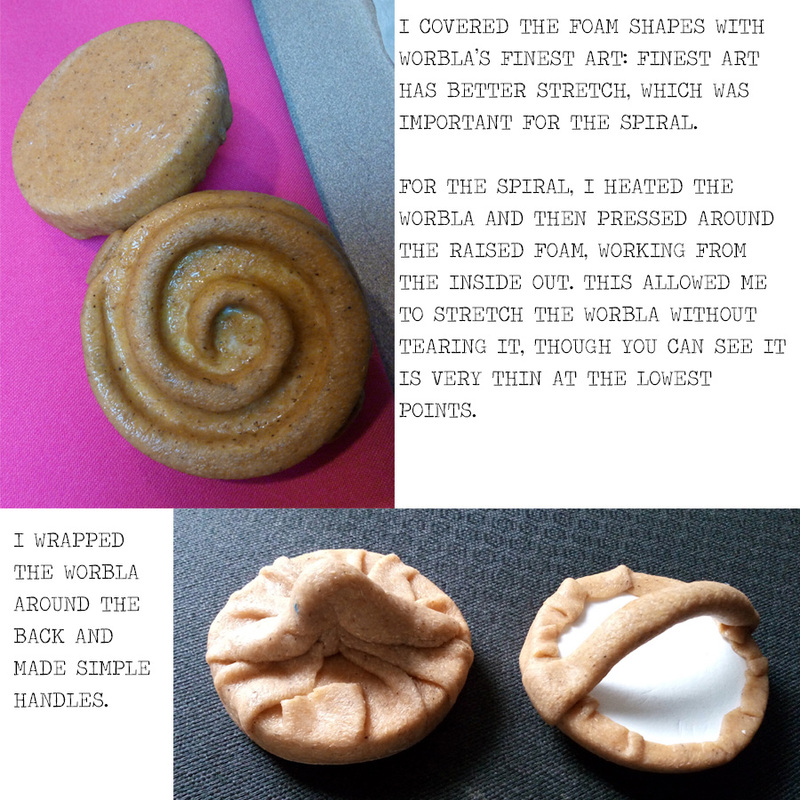 You don’t have to use Worbla for this – you could probably use just foam if you only needed to do it once or twice, but i wanted something that would be easy to apply pressure to evenly/lift up without making a mess and also be durable enough for 40+ uses.